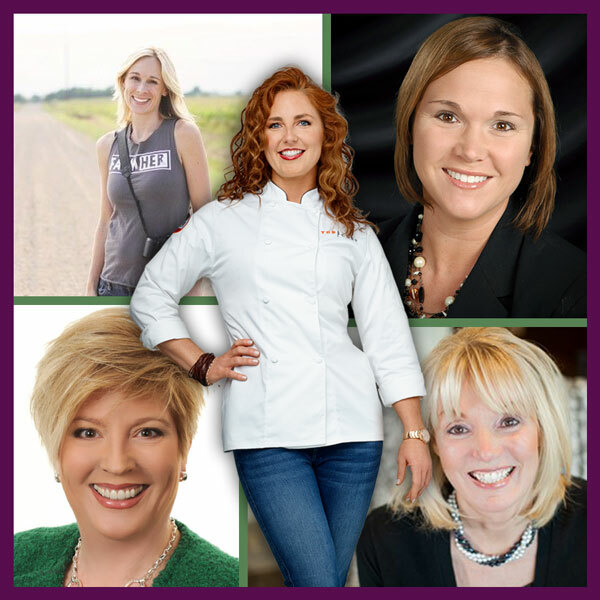 “Maximizing My Influence: Farm, Community, Consumers” is the focus of the award-winning Women Managing the Farm Conference, set for February 15-16, 2018, in Manhattan, Kansas. Since 2005, this event has been bringing together women who help provide the nation’s food supply. The Women Managing the Farm conference provides a supportive setting in which women can develop the skills, resources and knowledge needed for success in a competitive agricultural environment. The 2018 conference will open Thursday morning with an energetic program by Marji Guyler-Alaniz, founder and president of FarmHER, an organization that showcases women in agriculture. Other general session presenters for 2018 include Naomi Blohm, agriculture economist and market advisor with Stewart-Peterson who will discuss Why Marketing Matters; Allyson Perry, community advocate with The Center for Food Integrity; and Mary B. Lucas, speaker, people connector, and author of Lunchmeat & Life Lessons. Thursday evening’s activity will feature Chef Renee Kelly, host of Kansas City’s local TV show “Harvest with Renee Kelly.” The show focuses on telling the stories of the relationship between farmers and chefs. Registration for the conference is available at womenmanagingthefarm.com, with an early bird rate of $140 available through December 15. After this date, the regular registration fee is $160 through February 2. The Women Managing the Farm Conference is sponsored by various agricultural organizations. More information about speakers, programs, exhibitors, registration and scholarships can be found at the website, www.womenmanagingthefarm.com, or by calling 800-432-8222. Keep up-to-date with the latest Women Managing the Farm news through Facebook.com/WomenManagingtheFarm.